We've all been there. You have a client on one program but want to switch them to a new program next week. Well instead of waiting for the last moment to make the switch, you can now set it all up ahead of time. To set up a client on a future program, follow the same instructions as normal. Click the box on the Client Index page and choose Assign to New Program from the bulk action dropdown. Choose a date in the future as the start date along with the program. If they're currently on a program, it will ask if you want to continue it once they complete their future program. *Assigning them to a future program will not automatically abandon their current program. When you go back to the Client Index page, you'll notice a clock icon next to that clients name. This indicates the client has a future program scheduled for their account. Hover over the icon to see what program is scheduled. You can also go to your client dropdown menu and view all the clients who have a future program assigned to their account. 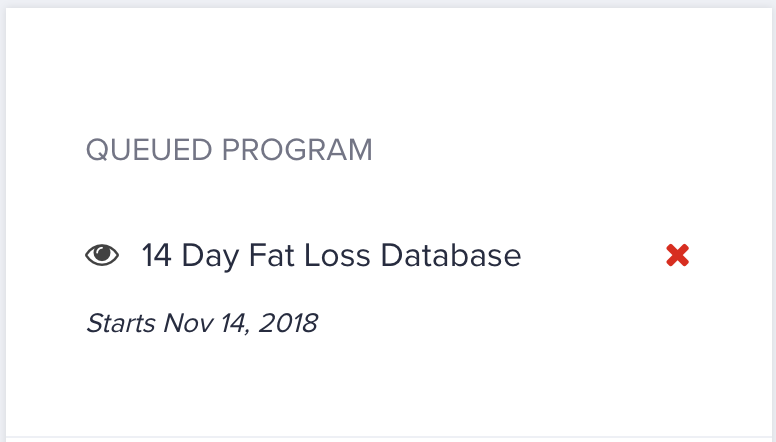 When you click on a clients name, along with their current program progress and past programs, you'll see their Queued Programs with the program name and start date. Click the red X to cancel the future program and delete it from their account. 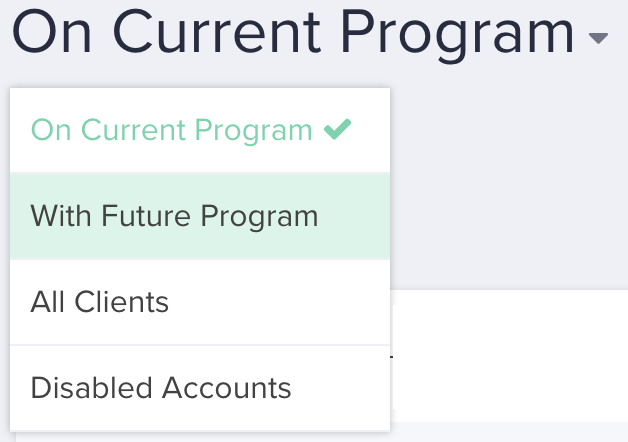 A client can only have 1 future (queued) program on their account. You cannot line up multiple future programs at this time.